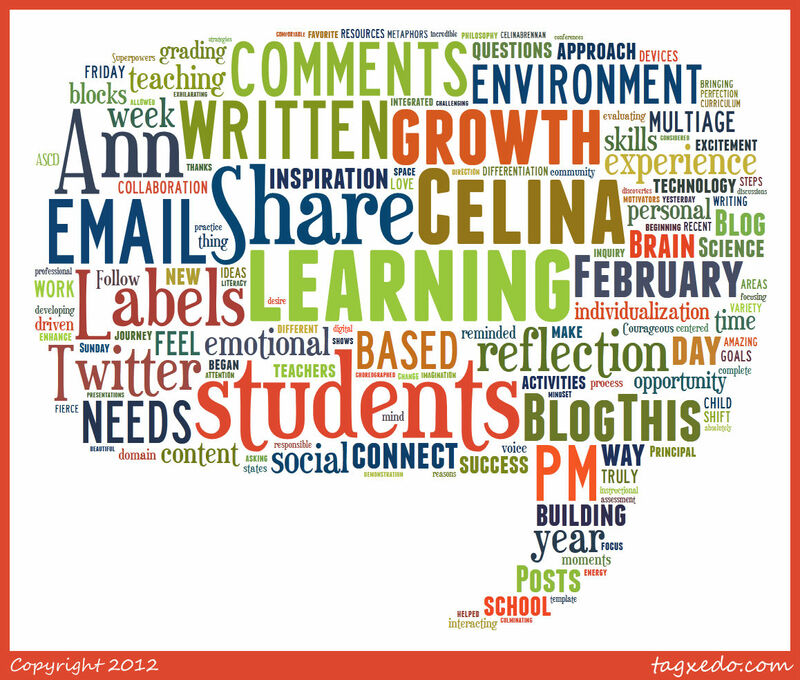 We blogged with our students today on feb29th.net! Did you? Ann and I could not wait to get our students connecting with the world! However, we did have to squeeze ourselves into our very busy lab schedule. Luckily another teacher was planning on canceling her time slot for the day. We eagerly nabbed the space! Our lab has 30 computers and we have 50 students, plus the 2 of us, so we knew it would be a crowded attempt, but worth it. The lab itself has no carpet and can get quite loud as sounds bounce around the space with the 52 of us collaborating with excitement. And boy was the noise of the conversations exhilarating!! We stared with the wonder of the day, #514 (wonderopolis.org)... And then we explained the purpose of the Feb 29th Blog. They were stoked to see the amount of posts by 2:00pm, our time, on the West Coast of the U.S. The countries' flags excited them and they watched the count grow through the experience. As students shared the thrilling event, Ann snapped away with her camera capturing the moment in time. Students were sharing seats, collaborating, laughing, announcing the count changes, pointing out the words of other bloggers, and identifying with the joy in the experience. As teachers we also contributed a joint post about our Rockstar Learners during this learning endeavor. Allowing our students to reach out to the world and be a part of a Global event on such a special day was an unforgettable experience! Thank you David Mitchell (@DeputyMitchell) and his amazing team for putting together this opportunity! Do You Carousel With Your Students? Well, I’m sure everyone has heard that Ann and I have the best dance moves around. Seriously, how could you not know about them when our students’ are shouting about our insanely cool moves from the rooftops! Thanks to our students’ endless encouragement and amazing growth we show no shame as we frequently dance our socks off to celebrate their progress. We have perfected some pretty interesting dance moves this year, including the Dougie and some kickback moves from the 90s. The choreographed routine we are the most proud of, though, is the Carousel. The Carousel is an instructional strategy we have developed throughout the year that ties to the Perfect Storm, our philosophical approach behind the development of our 3/4/5 Multiage Program. This “dance of the minds” is an interactive experience that addresses the needs of all 50 individuals within our classroom, while focusing on a particular topic or content strand. Twitter Chat Brings New Ideas! Thanks to everyone who was on the #4thchat tonight. It was a great opportunity to connect and learn from other people who are motivated to grow in the teaching profession. 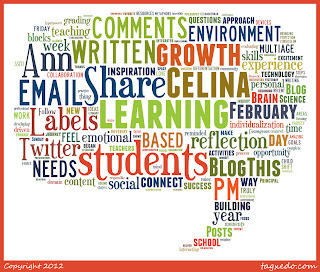 Check out what I made on a great site that was mentioned called Tagxedo! 1. Students first: What would they need? We have three different grade levels that need high interest and engaging opportunities to build their learning. They learn best through an active approach to acquiring knowledge, where they have ownership and are inspired. Many also benefit greatly by building their social skills through interacting and conversing with others along the learning path. 2. Standards: Within the Earth Space Science strand there are standards in our state for grades 2-3 and 4-5. Starting with the students and using the standards as a focus, the questions become around connections. How could these standards connect to make a cohesive WHOLE to enhance the learning of all 3 groups? 3. Curriculum: What could we use to meet the needs of students and the expectations of standards? Our district kits are big on process and thin on content, and in some cases the activities only connect tenuously to the standard they are supposed to be teaching. Plus Celina and I feel to make strong connections the content needs to also be integrated across the content areas with authentic reading, writing, communicating, evaluating and thinking skills, just as the Common Core states reading and writing should be used to promote learning of the content areas. Project-Based Learning is a favorite instructional approach within our Multiage Program. Our attempt, in the beginning, at developing purposeful projects to support science and social studies standards has truly transformed into meaningful EXPERIENCES. We have learned to let go (a lot) in order to step back and let the students dig into the rich information using the variety of resources at their fingertips. We have had incredible success thanks to Ann’s choreographed genius. Students had complete choice during our most recent 3 week unit of focus, and we celebrated their amazing projects with a culminating event in which they had the opportunity to share their new knowledge and teach kindergarten students. Their excellence was displayed through a variety of individual and partner presentations: videos, PowerPoints, posters, paragraphs, discussions, experiments, songs, skits, and art. Diversity, such a beautiful thing!!! Last Friday, Celina and I had the amazing opportunity to share our message with our school. We were asked to explain our program, and took it as an opportunity to truly reflect on what has made a difference for us this year in being a multiage learning community. We were both moved by George Couros’ fantastic post on the Connected Principal’s Blog about defining the WHY in our experience with our program. He cites the Simon Sinek TEDTALK about the fact that “People don’t buy what you do, they buy WHY you do it”. It had us both reflecting on the WHY that we wanted and needed to share about our program. Our students last year helped us refine the way we began our morning routine. As we were starting to feel our “Entry Task” becoming mundane, we were in search of a better way to establish our mornings. Ann and I have spent a lot of time researching about the brain and how to teach so students will retain the information. We absolutely knew we wanted to begin the day in an inviting, engaging way. Thus, our students helped us in developing the Brain Breakfast. We began implementing cognitive activities that would expand on the knowledge we were exploring, but also motivate our creative juices. Ann and I's teaching practice has dramatically shifted this year. Technology is now a natural part of our learning environment and students interact with resources in ways that best fit their learning needs, rather than when directed by us. January is a month of kicking off New Year’s resolutions and goals. In education we are not immune, in fact for many teachers this is the 2nd time in the school year when goals are being set, following the back to school change-ups that occur in September. Plus January for teachers becomes that time when we can re-evaluate what is working and what isn’t, get a little perspective (and rest) and maybe shake up the status quo. Several years ago I was very impressed with my ability to keep students attention during a lesson. They would sit still on their pockets at the carpet, with their alert eyes staring at me. They seemed so engaged. But what I never considered at the time was why they were behaving this way. What were they truly focusing on? The content/information/demonstration being given, or did they just have a desire to please me? Were their brains too focused on their behavior and desire to do the right thing and please me that the true learning was lost.